Alarcón Criado / News / FRANÇOIS BUCHER. SCRIPTED REALITY: THE LIFE AND ART OF TELEVISION. MUSEO JUMEX, CIUDAD MEXICO. FRANÇOIS BUCHER. SCRIPTED REALITY: THE LIFE AND ART OF TELEVISION. MUSEO JUMEX, CIUDAD MEXICO. Over a number of years, François Bucher produced Live events with various public figures, including artists and politicians, where they watched and reacted to television images, while zapping through the channels. These ¨addresses¨ provided a subjective, critical and sometimes satirical commentary that acted as a counterpoint to the events portrayed on screen. 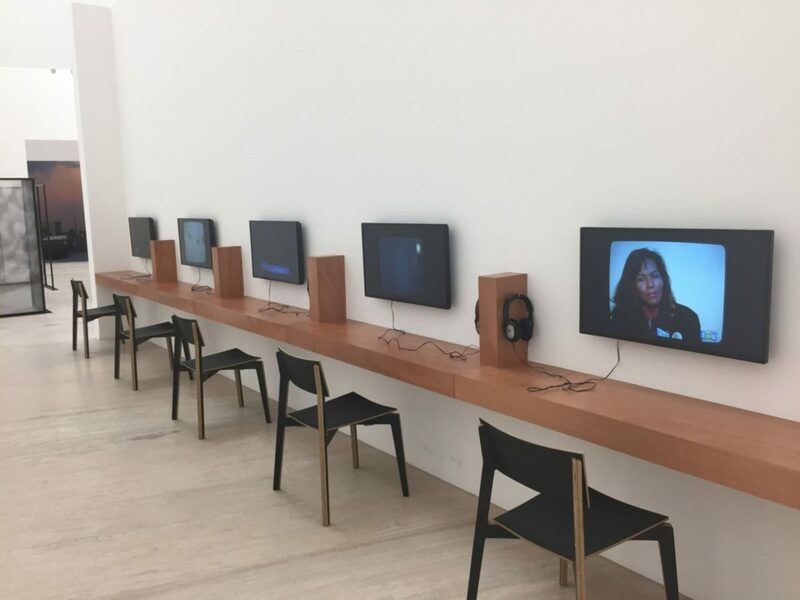 Bucher started the project as a means to address the “deological apparatus” of television, in the aftermath of 911 and the build-up to the war in Afghanistan and Iraq. The genesis of the project was an offer, made to Bucher, of the use of a streaming server, at a time when that kind of technology was not yet commonly available.